Lots of Christians talk about the gospel, but how many really understand the gospel and know how to apply it to their lives? 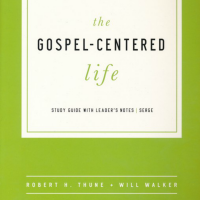 Featuring nine self-contained lessons with discussion questions, articles, practical exercises, and comprehensive leader’s notes in the back, The Gospel-Centered Life helps participants understand how the gospel shapes every aspect of life. How does the gospel not just become a personal thing but sends us outward? Aren't idols just statues far away? I don't have them? Right? What is a life of repentance? How do we reduce the gospel in our view as we grow in Christ? What does gospel growth look like? How do you think of your 'spiritually' growth? How does it happen? Do you know what the message of the gospel is? Gain some clarity before we apply this message to who we are.